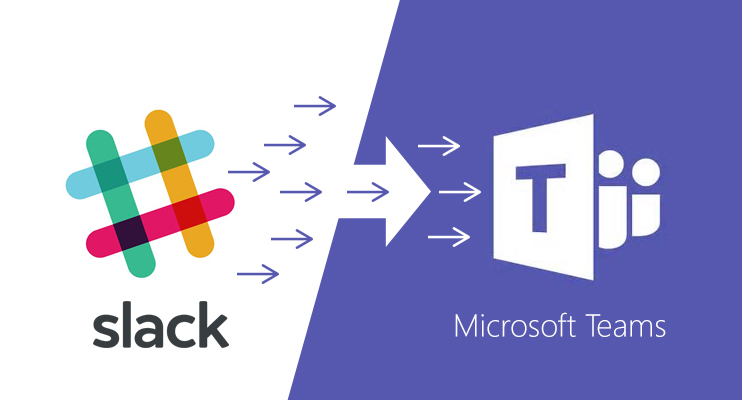 If you have already subscribed to Microsoft Office 365 for one or other reasons, you now have a great alternative for Slack in Microsoft Teams. In this article, we will discuss why you should consider migrating to Microsoft Teams and what you can expect in your journey of migration from Slack to Teams. Why should you consider migrating from Slack? Slack has high licensing cost, which you are paying separately, whereas Teams is within Office 365 suite. Teams files are stored in related SharePoint sites and in OneDrive. This gives a better search result and reduces duplicate content. Microsoft Teams is a part of Office 365 licensing. It enjoys the generic infrastructural support of Office 365 like Security and Compliance, Information Protection, Auditing, Search etc. 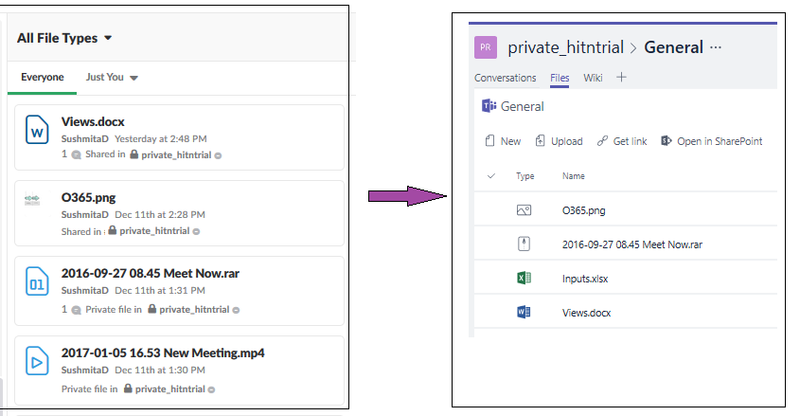 Teams conversations and files are accessible through Office 365 Search. Support for audio & video communication using Skype is another great advantage of Teams. First thing came to our mind that where will my content goes to a new environment? Will I get the same features which I am working now? All my users will get access to the new environment? Ok, let talk about the feature mapping and how migration process will take care of the existing content. Slack channels can be mapped to Microsoft Teams. — and you can create as many as you need. Private channels allow a group of teammates to discuss and share privately within Slack. Slack private channels allow a group of teammates to discuss and share privately. Microsoft Teams does not support private channels, so we came up with private Teams with external members. Microsoft Teams API as of now does not support threaded chat post with delegated users. So, the solution is Slack Posts are migrated as HTML content and posted to Teams as Root post with files attached (if any). Teams API does not support retaining of authorship information during post creation. Also, the original timestamp cannot be applied to the posts when created through API. To overcome these scenarios, we came up with some custom solutions. Files are uploaded to SharePoint site with as-is authorship information. If you have any question whether Teams is the perfect replacement of your Slack environment, or what the features of Teams, please feel free to ask. I'll be happy to help you. Can you also send me a quote to migrate Slack to Microsoft Teams? – Do you want to migrate Direct Messages? – Do you want to migrate private channels? – What kind of Slack license do you have? Does MS Teams come with tools to migrate Slack to Teams, or does Netwoven provide an automated way of doing this? There is no OOTB tool in MS Teams to migrate Slack chat or files. Netwoven has developed its own tool to migrate the slack content in MS Teams.